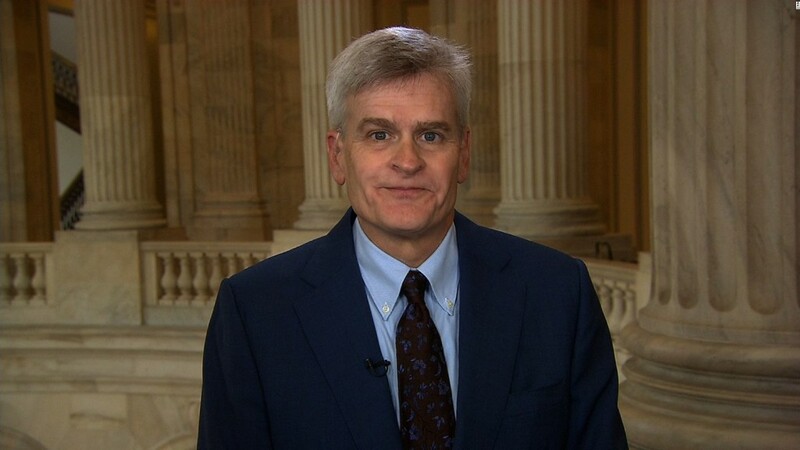 Louisiana Senator Bill Cassidy says his bill to repeal Obamacare will boost the number of Americans with health insurance. "There will be more people covered," Cassidy said on CNN's New Day on Wednesday. Cassidy, however, is one of the few who feel this way. Many in the health care community -- doctors, hospitals and policy experts -- say it's more a question of how many people will lose their insurance. The Congressional Budget Office has yet to release its evaluation of the bill Cassidy co-authored with Senator Lindsey Graham of South Carolina. Its reviews of earlier GOP bills in the House and Senate found that at least 22 million fewer people would have coverage by 2026, compared to current law. It's difficult to say exactly what the coverage losses would be under the Graham-Cassidy bill, experts say. That's largely because it would give a lot of control over health care to the states, while at the same time curtailing federal funding. Their decisions will affect how many of their residents have coverage. Here's how it would work: The legislation would eliminate Obamacare's Medicaid expansion, as well as federal premium and cost-sharing subsidies to buy policies on the exchanges. Instead, states would get a pot of money through 2026, and it would be up to them to figure out how to spend it on health care. But that pot would be smaller than it would be under Obamacare -- by $107 billion, according to the Kaiser Family Foundation. Plus, the money would be redistributed so many states that expanded Medicaid -- which saw the greatest coverage gains under the health reform law -- would lose some of their funding, while those that didn't expand would get more. Also, like the prior GOP efforts, the Graham-Cassidy bill would eliminate the individual mandate. That alone would result in about 15 million fewer insured Americans next year, CBO says. Related: What's in the latest Obamacare repeal bill? The bill would also shrink federal support of Medicaid by sending states a set amount of funds per enrollee or a lump sum -- again, leaving it up to governors and legislators to decide how to use the money. A per enrollee cap would cut federal spending by $53 billion between 2020 and 2026, compared to current law, Kaiser found. Most states, however, don't have the wherewithal to make up the difference so it's likely they'll tighten enrollment, curtail benefits or trim provider rates. "The flexibility states will be given under the bill is where to cut, how much to cut and who to cut," said Sabrina Corlette, research professor at Georgetown University's Health Policy Institute. "You can't take that much money out of the system and expect more people to continue to get affordable coverage. It just doesn't add up."